The Mtn. 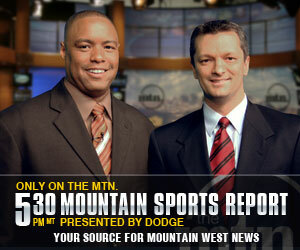 - MountainWest Sports Network: Get The Mtn. The Mtn. is available on many leading cable and satellite providers throughout the country. Check with DIRECTV to find out if your programming package includes The Mtn. If you do not reside within the areas mentioned above, The Mtn. is available across the rest of the country with a subscription to DIRECTV's SPORTS PACK. The Mtn. is also available to millions of viewers on leading cable systems throughout the United States, including Bresnan, Comcast XFINITY, Cox, Suddenlink and more. 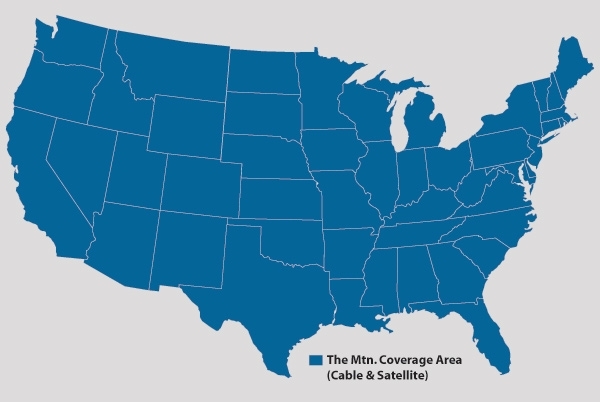 28 states currently have cable service providers including The Mtn. in their programming lineups: Alabama, Arizona, Arkansas, California, Colorado, Connecticut, Florida, Georgia, Hawaii, Idaho, Illinois, Indiana, Kentucky, Louisiana, Maine, Massachusetts, Michigan, Mississippi, Nevada, New Hampshire, New Mexico, New York, South Carolina, Tennessee, Texas, Utah, Vermont and Wyoming. Use the channel finder below to see which company provides service in your area. • Service launch on CenturyLink in Las Vegas & Henderson, NV effective 12.23.11 - service can be found on channel 684. Select programming is also carried worldwide to American servicemen and servicewomen on American Forces Network (AFN). Channel not found? Do you have one of these providers? Fans, like you, we would like extended distribution of our network. To do this, we encourage your support by making your voice heard and letting distributors know that you would like to see The Mtn. Distribution decisions are made by viewer demand so every call, email and letter will help. Contact your cable or satellite provider and tell them "You Want The Mtn."